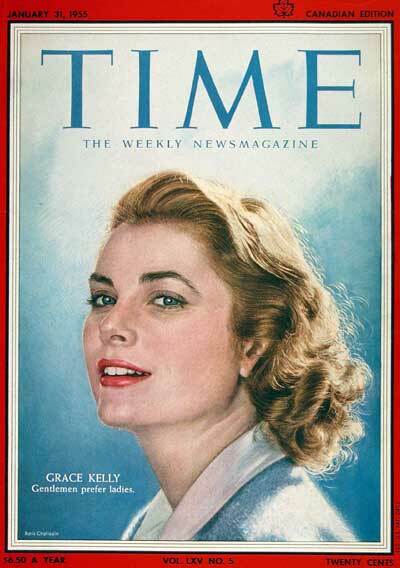 Grace Kelly is stunning cover portrait for Time Magazine. But I really like the tagline, "Gentlemen prefer ladies." Men like women. Gentlemen like ladies. I keep telling myself that gentlemen like ladies, but I haven't had much luck as a lady so who knows! Your right-it doesn't always seem that way! this reminds me of the line from legally blonde, "I need a Jackie, not a Marilyn"
sadly, my ex-college sweetheart preferred Marilyns to Jackies, because I like to think he left a pretty good Jackie behind (ME! ).